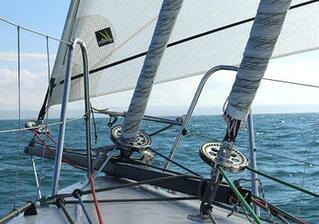 Upffront.com has a large range of furling units and torsional cables available to buy online. Whilst we do everything we can to provide the information necessary to select the furling system that suits your needs, there are many factors to consider and it can be confusing. We are here to help. Our support team has extensive knowledge of the systems and options available and will be happy to provide you with recommendations and a tailored proposal that fits your requirements. Please provide your contact details and some basic information about your boat / requirements and let us do the rest! We will endeavor to respond to your enquiry within 24 Hours (week days). To receive our furling estimate complete the details below.